Reposting Rules: All Prepare for Change Cobra Interviews must be reposted in their ENTIRETY with all the content included, unedited, complete as they appear on the pages and in the audio files as well. Corey – Never before has it been so important for us to learn how to focus our co-creative superconsciousness on obtaining an optimal temporal reality. For too long, negative forces have used our co-creative superconsciousness against us. Many around the world have learned of their co-creative abilities and are focusing these abilities and their intent on a positive future for humanity. On August 21st, during the eclipse at 11:11 AM Pacific Daylight Time, lightworkers around the globe will unify in a mass meditation for peace and freedom for humanity. You are invited to participate remotely or in person at Mt. Shasta. Please see the details at EclipseofDisclosure.com. Find the resources you need to enhance your meditative abilities and boost the effectiveness of your co-creative superconsciousness at http://www.cosmiccocreation.com. Lynn – Today we are creating a first for PrepareForChange.net/StillnessInTheStorm.com /SphereBeingAlliance.com and 2012Portal.Blogspot.com. Four websites are represented here today to help disseminate truth to the community. We are joining forces in a united effort to create something bigger than we are alone. It is time for us all to unite. So today’s interview will be hosted by Lynn from Prepare For Change and Justin Deschamps from Stillness in the Storm. Our guests are Corey Goode from Sphere Being Alliance and Cobra from 2012Portal.Blogspot.com. We hope you enjoy this lively exchange of information. Our goal is simple. We are sharing information that will hopefully make discernment a little easier. We aim to create unity in our community. Justin – The questions we are focusing on during this interview will be ones that both Corey and Cobra can answer to the best of their ability. The other questions have been reserved for future interviews, should they occur. While there are differences in the narratives and testimonies provided by Cobra and Corey, we will be focusing on questions that better serve to build unity, fellowship, and common ground. Any specific questions about differences in their respective testimonies have been withheld for future interviews once a solid foundation for unity has been established, although they are no less important. Lynn – Welcome Cobra and Corey Goode. Is there a way that the wording of a unified meditation could be applicable to multiple groups so that we can jointly increase the participation? Let’s go ahead and direct this to Cobra. Cobra – Okay, the idea of a unified meditation is actually the basis of what the Light Forces are communicating to me. That is the basic theme that can most effectively unify different groups and also at the same time have the maximum positive effect on the planetary liberation. You need to understand, if you want to be very effective in this process, all groups need to have the same meditation, and it has to be done at the very same moment. It is not so important what kind of meditation it is. It is more important that there is a very strong, focused laser-beam, synchronized event that includes . . . this can include various groups regardless of their ideology, regardless of their belief systems. The only thing you need to have is their motivation to unify and their motivation to assist in the planetary liberation. So the wording of such meditation needs to be carefully selected. And my suggestion is that we combine so I can have my idea, Prepare for Change can have their ideas, Corey can have his ideas. And I suggest that we make a consensus of those three different ideas – maybe send it to Justin, and then Justin can then moderate those three groups. And then after we reach a consensus, which can be done in a few days, other groups can join us, and they can create their own videos. They can make videos for their own networks, through Facebook, throughwhatever they use, because this is really a very powerful opportunity to unify us, because our unified consciousness is what is needed on the surface of the planet for the Breakthrough, for Disclosure, for The Event, whatever we wish to name that Breakthrough, but this Breakthrough is what we all want, and what we all need. Justin – Great answer. Thank you, Cobra. Corey – Well, I do think that we can, I guess, create a common topic that people of all ideologies can agree on. I think the thing that is mostly being looked for is a calling out to the One Infinite Creator, you know, from as large a part of the population as possible. Now, I don’t see . . . I don’t see ideology being a problem at all. I do think that we can word it to be more inclusive, but it’s just very important that we are very focused on the same outcome, in my opinion. Justin – Okay, the follow-up question: Cobra, would this be something that can be agreed upon by you, the Resistance Movement, Corey and all concerned parties? Cobra – Yes, this is exactly what I proposed. I have my . . . I can create my proposal, Prepare for Change has their proposal, and probably Corey has something to say about it as well. So we can just coordinate with the three of us, very easily, within a few days, and then we can make a joint statement about it. And this can be very powerful, because it will show . . . It will be an example that will show others that such coordination and communication is possible and is something that can be done. And then others will join. Justin – Thank you, Cobra. And did you want to add anything, Corey, to that? Corey – No, I totally agree. The more focused intent we can get on one topic, the more energy we’ll have behind it. So, you know, the co-creative consciousness can guide us throughout these timelines that we’re deciding as a mass consciousness. And if we try to get as many of us on the same page as possible, and do mass meditations, prayers or whatever people’s ideology is, then that focused intent can guide us to the most optimal temporal reality. Justin – Thank you, Corey. And finally: What impact would this have for the beings on Earth whether pre-Event or pre-Full Disclosure, whether it be human beings or animals, plants or the Earth itself? Cobra? Cobra – Okay, each meditation that reaches a critical mass has enormous impact on the status of affairs, the state of affairs, on this planet. It influences the human kingdom. It influences the animal kingdom, the vegetable kingdom, the mineral kingdom. It influences the whole planetary sphere. And it can accelerate the process towards Full Disclosure or towards The Event. And it can accelerate our liberation. It can make the process easier and more harmonious, less violent. And there have been scientific studies made that synchronized meditation does reduce crime rates significantly – more than any other technique that has been attempted. So this is something that does for sure reduce the amount of violence on this planet, and this is something that worth striving towards. It is something that is worth putting our energy into, much more than into some other things that people are doing. Justin – Thank you, Cobra. And, Corey, did you want to add something? Corey – Yeah, I mean, you know the Earth has vibratory nodes around it that are very similar, if not the same, frequencies as in the human body and animal bodies as well as plant and animals. So the connection that we have with this planetary sphere is a lot more complicated than we realize. The interaction we have with those fields when we’re in meditation is extremely powerful. And as we start to learn how to manage that co-creative ability, we start to realize how powerful we can be and how those abilities and how that power can be directed towards the Light. Justin – Thank you, Corey. All right, Lynn, go ahead and take it away. Lynn – Okay, this reader-listener has sort of posed a rhetorical question here. He says: I have just one question for you two guys. Corey and Cobra, is there any particular reason why the awakened community has waited this long for the two of you guys to come together and push a mass meditation? Corey, when did you think about doing this? Corey – Well, this is something that . . . every time I see someone announce some sort of a mass meditation, you know, I have the idea that we all need to coordinate, but I’ve been focused on quite a few other things, and it was more recently that both the Anshar and the Blue Avians stated that things were not moving as good as or as well as they could, that mass meditations that are coordinated and focused on the same intent were very important for us to try to organize right now. So that definitely got my attention and motivated me to try to reach out to those who were doing mass meditations and see if we can all coordinate. Lynn – Thank you. Cobra, what are your thoughts on the concept of a united meditation? Cobra – Basically, I have already answered this question. The idea of united meditation, or unified meditation, or unity meditation, is simply to do what meditation does, because meditation always brings us closer to unity with ourselves, with our Source and with each other. Therefore, every meditation is actually a unity meditation. But when we use that . . . When we apply that concept in the mass meditation, it can become a very powerful catalyst for human evolution – actually the most powerful catalyst for human evolution. Lynn – Thank you for that added description. Okay, Justin. Justin – Can you quantify how much more effective a physical group meditation would be over a non-physical group meditation? So essentially what the questioner is asking is, are group meditations more powerful when people are gathered in the same physical space? Corey – You do not have to be in the same room to have the same effect. It’s quantum mechanics. No matter where you are in space and time, we’re still connected in this field – this consciousness field. So, you know, it’s supportive to each other to be in one location, but it is just as effective for all of us, no matter where we are spread out on the planet, to contribute that energy. Justin – Thank you, Corey. And, Cobra, did you want to share something? Cobra: Basically, if you want to affect the physical plane with energy, it is more effective to have groups meditating together on a physical plane. If you only want to change the higher energy planes, as far as that, it does not matter. But what we are doing here is we are creating a physical effect. So if you have physical groups together on the nodes, on the energy nodes on the planet, this meditation will surely be more effective. And I know that many people will be meditating along the eclipse path, and many people will be meditating on vortex points such as Mt. Shasta, and this will increase the effect of this meditation. Justin – Thank you, Cobra. Lynn? Lynn – Relating to the last question, on Cosmic Disclosure, Heather Sartain said that when three or more people put their pineal glands in close physical proximity in a meditation, the pineal gland acts as a signal transmitter. Can you tell us the mechanics on how this works? Cobra, can you start? Cobra – Basically, what happens is a certain very important effect that is called triangulation. Triangulation is the connection of energies in a sacred geometry triangular pattern, which is the most powerful geometric shape in the universe. When three or more people meditate in the same area activating their pineal glands, and not only their pineal glands, but I would say the energy field between the pineal and pituitary gland there is a very certain, very specific electromagnetic field which connects our physical brains to higher dimensions and it is being created as a tension between the pineal and pituitary glands. And when these get activated in a triangular formation, it creates a very powerful energy which can then be transmitted through the energy grid and also vertically through the dimensions. So this is one of the most powerful things that can happen in a meditation and group setting. Lynn – Thank you, Cobra. Corey, as we can see, your Mt. Shasta conference will definitely bring people together and demonstrate this. Is there anything else that you’d like to add here? Corey – Yeah, you know, I have a lot of people contacting me stating that they’re at various stages of their development when it comes to meditating. We’re going to have a person, Gerald O’Donnell, that has been very big into remote viewing, remote influencing, trying to have an effect on the co-creative consciousness. And he’s going to be doing a session at Mt. Shasta where he’s going to be teaching people. We also have a URL where his information could be found so people can practice, build up their meditative skills, and it’s at www.CosmicCo-Creation.com. We’re really looking forward to having him teaching people to meditate at Mt. Shasta, to get as many people as we can focused on the same intent. Justin – OK, thank you, Corey. The next question is related to a specific type of meditation called Tri Sphere Meditation. Corey, have you heard about this before? Corey – No, I haven’t. Justin – And Cobra, have you heard about this before? Cobra – Yes, I have. Justin – Would you like to comment? Cobra – That is a very special meditation which has been released by a certain Dragon group, which aligns a group of people based on, I would say, their astrological chart and other factors, and it is a very effective way to utilize the power of a small, dedicated group to influence the planetary situation positively. Justin – Thank you. And would you also say that this is more effective than another type of meditation? Cobra – I would not compare, because each meditation is perfect for its own purpose. Justin – Thank you. I hold the expectation that the emergence of Ascended Master Maitreya, as told by Benjamin Creme, through Share Intel Foundation, is to take place after The Event. Is there any difference between Transmission Meditation held by this group and the weekly ascension meditation held by Prepare for Change? Cobra? Cobra – Okay, the Transmission Meditation which has been released by Benjamin Creme is part of the project of the same group of Ascended Masters. 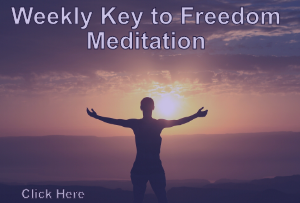 Basically, the idea of Transmission Meditation is to strengthen the energy grid on the planet, and the Weekly Liberation Meditation is doing the same thing with some added features. So both meditations are having roughly the same goal, but they are targeting different people with different belief systems and different personality structures, because not everybody will believe in the Event or not even everybody will believe in the existence of the Cabal. But they can still meditate and be effective. And many such people have been joining Transmission Meditation groups around the world in the last few decades. Justin – And as a follow-up question: Is Share International Foundation a group of the Light? And Cobra, would you like to comment? Cobra – Yes, that group is of the Light. Actually, Benjamin Creme was in a certain amount of contact, I would say, a certain amount of contact with the Ascended Masters, but his contact, of course, was not perfect. Not all of his information is correct. Some of it is very precise, but some of it is completely off. So it’s a mixed situation, but yet he was working for the Light Forces. Justin – Thank you, Cobra. All right, the next question is about discernment: How can a person discern a group that is either positive or negative? Corey? Corey – Well, I think, first of all, you’re going to be able to read their energy. Recently, I’ve stated that you’re going to know a tree by its fruit. You hear a lot of lip service and a lot of propaganda from a lot of different groups, and when you spend time really using not only discernment, but logic and investigative skills, you have to combine all those things together and go with your gut feeling, and with what you found out in investigating them before, I think, you make a decision on whether you think they’re benevolent or malevolent. Justin – Thank you, Corey. Cobra, how would you answer this question? Cobra – Okay, basically, what you need to do is to have your contact with your own higher self. And when you have your contact with your own higher self, you’ll be able to recognize the higher self in others. You’ll be able to see clearly who is connected with the Light – whose primary agenda is to be dedicated to the Light – and whose primary agenda is to the Dark. You’ll be able to perceive that very clearly through your inner voice. And then it will be easy for you to discern who is working for the Light, and who is not working for the Light. And the other thing here is, you need to understand that most groups are mixed. The Dark have a tendency to infiltrate the Light groups. And also the Light have a tendency to put certain of their people in Dark groups to transform the situation there. So basically, most of the groups that are on this planet are mixed. Justin – Thank you, Cobra. And as a follow-up question to this: Would you say that combining both intuitive and a logical process of discernment is a good idea? Corey? Corey – Absolutely. A lot of times we can get caught up or misguided in our abilities or where we are in our path. That can occur from trickster beings. It can occur from our own, I guess, personality distortions. So it is very important to learn how to be in communication with your higher self and to pull from that empathic ability. But we also need to verify things as much as possible here, you know, on the physical plane, by doing investigation and using logic to try to figure out the most likely scenario. Justin – Thank you, Corey. And Cobra, you somewhat answered this, but would you like to comment on anything? Cobra – Basically, I agree. Justin – Thank you. Next question: What planes are affected by meditation? Cobra – All planes of creation are affected by meditation and actually by any action, because no plane and no part of the reality is isolated from other parts of reality. So whatever happens on the physical plane affects higher energy planes, and also whatever happens on the higher energy planes affect also the physical plane. So there is always constant movement of energies and constant influences going in all directions at once. All the universe is interconnected. Everything is interconnected. Justin – Thank you, Cobra. And Corey, how would you answer this question? Corey – Yes, even scientists noted long ago that observing an experiment will change its outcome. That’s one of the major things that science has tried to keep out of the mainstream. That’s why they separate the spiritual from what they call the pragmatic. Justin – Thank you. Who or what is receiving the signals we send out when we meditate? Cobra – Everybody that is aligned on the same frequency can receive those signals. If he is aware of those signals, he can receive them. So the key here is the unification of consciousness and awareness, and then that communication for those signals can happen. Corey – Yes, everything in time and space is connected. So if . . . You just have to know the frequency to tap into or develop the ability to tap into that frequency. So, yes, this morphic field is accessible by everyone as is all the information in it. Justin – Thank you, Corey. And a follow-up question to this: Does the Resistance Movement hear or receive these thoughts directly as actual words or images, or is it more of a hazy impression? Cobra? Cobra – Basically, the Resistance Movement is not connecting telepathically with the surface population a lot. They have their focus more on liberating the planet from the Cabal. So there are certain, I would say, members of the Resistance Movement that are doing that, but they are in the minority. Justin – Thank you, Cobra. And I’ll ask this more pointedly for your information, Corey: Does the Sphere Being Alliance or the Anshar, or even the Secret Space Program, hear things directly as clear discernible thoughts and images, or is it more hazy? Corey – Well, it depends on the different levels of these beings. Some of them . . . Information as we speak it or as we’re projecting it mentally, it becomes information and that information goes into a field. And then it’s, I guess, decrypted and interpreted as data. So it’s not necessarily going to be received as a person’s voice talking, but they’re going to be able to recreate the imagery and all the data that was attached to that energy that was sent. Justin – Thank you, Corey. Justin – Cobra, many of us are eager to contribute as best we can via group meditations, but we lack experience and instruction. It would be extremely beneficial to our cause if we could be provided with some good, reliable instruction to help us maximize the effectiveness of our meditations. Can we be provided with some verifiable sources, either YouTube videos or documents or things to read that can help us become more effective in our meditation? And I’ll start with Cobra on this. Cobra – We are not searching for experts here. What we need here is just dedication and willingness to participate. You can do as good as you can, and this is good enough. There are courses for meditation that are good out there. There are techniques that are effective. One of them is Vipassana – simply a meditation that you do by watching your breath. Watching your breath will automatically align your personality and will still your mind. This is something that is very easy to do. Everybody can just observe their breath for a few moments. That’s the basic instruction I can give at this moment. Justin – Thank you, Cobra. And, Corey, you mentioned briefly something about this earlier. Do you want to add anything else or mention that again? Corey – Okay. I think a lot of times people put a little too much mystery into what it is to meditate. Anyone that sits and stares at a wall and daydreams, you’re basically meditating right then. If you go into . . . If you have a background in a different, certain religion, and you’ve gone deep into prayer, you’ve meditated. So it’s not a huge mysterious thing. Anyone can contribute by just focusing their thoughts and intent and trying to focus completely on that. That is all you really need to do to meditate. Now, of course, as Cobra stated, there are plenty of methods out there that you can learn to start fine-tuning your ability as you want to . . . as I mentioned earlier. You can always work on that and fine tune it, but if you just focus your intent, during this time period, on this meditation, then you are contributing. Lynn – Please remember the websites supporting today’s effort on our part as a service to the community. I invite you to support the work that we do at PrepareForChange.net, StillnessInTheStorm.com, SphereBeingAlliance.com, and 2012Portal.Blogspot.com. Lynn – Would meditating during the sunset and sunrise be better than during other times? Cobra, can you answer this? Cobra – Actually, sunset, sunrise, midday and midnight, are, I would say, four cardinal power points of the day. And meditating at that time is the most effective. Lynn – Also, would you recommend meditation related to a certain weather? Cobra – That is, I would say, a personal preference of the person meditating. Lynn – Okay. And Corey, can we have your comments on these same questions? Corey – Yes, I mostly agree, and, also, I do think that preferences are important. A lot of times, you will see these cookie-cutter methods introduced or sold to people when a lot of times they’re good, I guess, starting points. But each of us are completely different beings, and we need to have different, develop different methods of spiritual protection and meditation that matches who we are as a person. Lynn – Thank you very much, both of you. Go ahead, Justin. Justin – Does mass meditation, either in physical groups or connecting with each other through the Internet, allow us to actually create our own reality? Cobra? Cobra – Yes, this is, I would say, the most powerful group or global manifestation technique that is available. It is actually utilizing the very basic principles of the manifestation process. And meditation, group meditation, will actually manifest the Event. It will manifest Disclosure. It will manifest First Contact. This is what will trigger all those things from our side. This is the power we have as an awakened collective to change the reality on this planet. And this is how the reality was changed on other planets throughout the galaxy that were liberated. Yes, of course, physical action is necessary and needed, but meditation is the trigger which triggers the change. Justin – Thank you, Cobra. And Corey, would you like to comment? Corey – Yes, absolutely. Our co-creative abilities are the number one thing that the Cabal has tried to keep us ignorant of. They use it against us. They create movies that show horrible outcomes for our future, and these movies actually put us in a meditative state when were watching them, and they interact with our co-creative consciousness to try to make it more likely that these types of things will occur. Now, if all of us get together, claim that ability and power, and focus it on a more positive reality, then, yes, we are all co-creating that reality together with intent. Justin – Thank you, Corey. And as a follow-up question to this: Would you say that the reality created there can override another person’s personal reality, or more to the point, are these realities that we’re creating through group meditation, do they have the power to infringe on another person’s free will? Corey? Corey – We’re all co-creating this reality together. Even the non-terrestrials that are not a part of our mass consciousness, so to speak, but are here in our Solar System interacting with us, they’re co-creative consciousness is having an effect on our shared reality. So there’s a certain point where realities do kind of bifurcate, but it is a shared reality that we’re co-creating together. It is not going against a person’s free will to exercise our own. Justin – Thank you, Corey. And Cobra, I’ll just repeat the question again: Would you say that this mass meditation in affecting reality has the ability to override another person’s free will? Cobra – It does not override the person’s free will. It just presents an alternative. So if enough people can now only choose between the Cabal and the Cabal, suddenly they will be presented with another choice. They will be presented with a choice of Disclosure, First Contact, new reality, new financial system, better life conditions, and, of course, most people will choose that better reality with their own free will. And the rest of them will have to adapt to that new reality. It will not be infringing on their free will, but it will be simply part of the cosmic process of cosmic restructuring where reality needs to change, it needs to adapt to a new frequency. We need to evolve as a planet, as a species, as a Solar System, as a galaxy. Justin – Thank you, Cobra. And finally: Can you explain the mechanics or the scientific process behind how this is involved? Cobra? Cobra – Basically, this is the process of manifestation. The process of manifestation has three main steps. The first one is your decision. The second one is invocation. And the third one is physical action. And meditation is actually the second step. So the first step is you decide. You use your free will to make a choice about what you wish to manifest. Then you use meditation to magnetically draw that choice, that decision into reality. And number three, then you act on that magnetic choice. So we all have made a choice. We have made a choice for Full Disclosure, for First Contact, for Liberation, for the Event. Now, we are meditating to magnetically draw that choice to the physical plane and then we’ll act upon it. Because this meditation will trigger a change. It will trigger physical shifts on the planet. It will trigger things that will be undeniable. And then, of course, we’ll be more free to act physically to support that process. Justin – Thank you, Cobra. And I’ll ask the question again for Corey. Can you explain or give insight into how this process of group meditation affects reality at a scientific or mechanical level? Corey. Corey – Well, I would absolutely agree with everything that Cobra just stated. And I would add that the physical the 3rd step is also very important. So all of us getting together to meditate is going to definitely get the ball rolling, as they say, but eventually, we’re all going to have to also come together and find a way to do, not demonstrations, but very peaceful walks on major cities and ask for the release of suppressed technologies. I’ve discussed before that once the energy changes for meditations like this, a lot of people are going to be opened up to discuss the release of these technologies. I think that’s something that we can approach people with a lot easier than non-terrestrial information in the beginning. So I think that getting this meditation going will be a catalyst for people to then begin to come out into the street and talk openly about everything that’s being suppressed from us, both technologically and spiritually. Justin – Thank you, Corey. Lynn? Lynn – Yes. When we synchronize our meditations by starting at the exact time all over the planet, focusing on the same image and listening to the same music, while visualizing the same thing at the same time all over the world in our different languages, does this strengthen the signals that we send out into the universe from our pineal gland? Cobra, can you start with this? Cobra – Yes, definitely it strengthens the signal that we send out. More than that, it creates a coherency mode. It’s like a laser beam. Laser beam is a very coherent light. All particles, all photons, vibrate in the same way when we have a laser. And you know how powerful a laser is. So we are creating an energy laser, a very strong signal, from the surface of the planet which will blast through the universe and will definitely . . . it will definitely trigger a response. Lynn – Thank you. Corey, your comments please. Corey – Yes, I definitely . . . the more power you can put behind a communication broadcast the better, the less attenuation there’s going to be, the more distance you’re going to get from a purely physics standpoint. But the same is true on other levels of the spectrum when it comes to spiritual levels, etheric levels. So the more energy you put behind these meditations at this same precise time period, it’s going to . . . it’s going to have a massive effect. It’s definitely going to have a massive effect. Lynn – Okay. Thank you. Justin, you can continue. Justin – How many people need to be in larger groups participating in mass meditations for us to perceive any noticeable effect from the meditation? Cobra? Cobra – It depends on the scope that you are watching the effect. For example, if you have a city of one million inhabitants, you need a group of maybe two thousand people to change the reality of that city. This is just an example. There is a certain equation which can tell you exactly how many people you need to change your reality of a certain group or a certain social structure. And for the planet, the whole planet, that number is about 105,000 people. But if you take into account that not all participants are meditating with full effect, you can get very symbolic estimates of 144,000 people that need to meditate to change, to shape the reality for the whole planet. And we have managed to do so a few times already, and we will do that again. Justin – Thank you, Cobra. And Corey, I’ll just ask you the question again. How many people need to be in larger group meditations in order to have a perceivable effect on reality? Corey – Well, I would definitely agree with what Cobra said about each person has a different ability…is going to have a different dedication on how much energy they have focused. So numbers can . . . they can be a little, I guess, wonky in this situation. It has to do more with . . . I mean, very few people can make a huge change on reality if they’re extremely focused. Lynn – Corey, can you explain more about what Ra Tear Eir told you about the importance of the human population doing mass meditations together? Corey – Yes, most recently he brought me up into one of the giant spheres and showed me the rest of our Solar System. And the rest of the Blue Spheres were almost completely transparent and looked like they were receiving very heavy jolts of energy. And he stated that very soon these spheres would dissipate, and the full brunt of these energies would hit us. That, I guess, we have been acclimated. It was also stated that during this time period, as these energies increase, they also boost our co-creative abilities. And that can be used against us by the Cabal, or we can use it to our benefit. And he stated that to use it to our benefit and to help guide us to the most optimal temporal reality, that we needed to come together and focus on the same intent and put out a calling. And if we can all come together and put out a calling, then I think that from the indications he gave me, we’re going to see a massive pivot. Lynn – Have you had any experiences, either in the Secret Space Program or elsewhere, with shifting your physical reality with your own thoughts or meditations? Corey – Yes, this is something that would be done in experiments as well with people. They would do them electronically with fields when they were studying consciousness. So yeah, definitely changing states of consciousness at will and also through technology as well as perceiving reality differently because of fields created. A lot of those different things were occurring in the programs. Lynn – Thank you. Cobra, do you have anything to add about this? Cobra – Basically, if I go back to my own experiences beyond the surface of the planet when I was having contact with the Pleiadians, the contact with the Pleiadians changed my consciousness a lot because it was a very strong experience. Lynn – Thank you very much. Justin? Justin – Justin here from Stillness In The Storm. 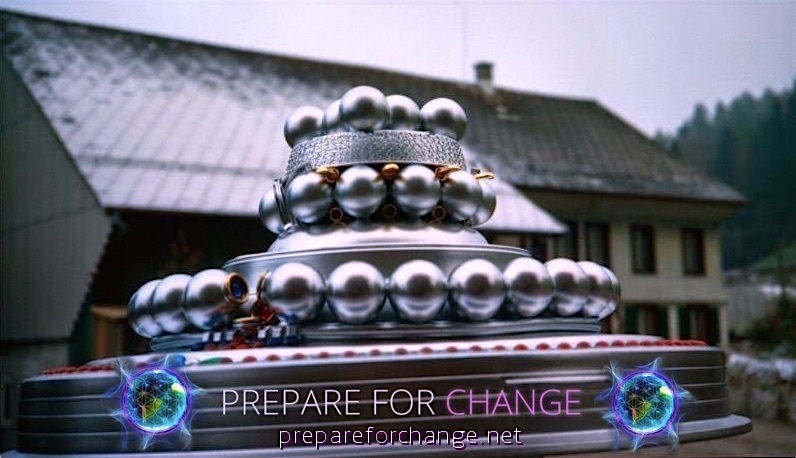 I’m happy to be doing this interview series with Prepare For Change. And I just wanted to take a moment to thank all of you for all of the support over the years that you provided to Stillness In The Storm. If it wasn’t for your support, we wouldn’t be able to do what we do. Now there’s a few different ways to support our work. If you go to our website, you can use the Paypal link and send contributions that way. You can also send a contribution through Patreon which is a link on the website and we also monetize this site which has advertisements on there that can be clicked which sends a small contribution to our efforts as well. So if it wasn’t for your support, we wouldn’t be able to do what we do, and we thank you for all the various support we get energetic, monetary, and otherwise. Thanks so much. Take care. Lynn – Is it possible to invoke higher dimensional E.T.’s and angelic beings to remove implants and entity attachments from your energy field during meditation? Can you start with this Cobra? Cobra – Basically, you can connect with higher energy beings and they can help you with that, but the removal of implants is not that easy. But to remove entities it is much easier, and yes, they can help. There are many beings of light, including angels, extraterrestrial positive beings that assist many people in removing energy attachments, entities, and they basically assist in spiritual development and also in level of quality of life. For all those on the surface of the planet that connect with those high energy beings. Lynn – Thank you. Your comments, Corey? Corey – Yes, you can definitely put out a calling through meditation for non-human assistance on many different levels. So, yes, you can definitely put out a calling through that method. Now, the removal . . . Having these implants and entity attachments removed is usually going to be a little bit more involved of a process. So it’s not something that you’re going to be able to just clear out in a meditative state, but you can definitely put out the calling. And there are those beings out there that will respond. Lynn – Okay, thank you, Corey. Justin? Justin – Okay. The next question we pretty much answered, but I have a follow-up to that one, which is: Would you say, Corey, that one would need to be careful about what type of entities they’re invoking, especially being wary of trickster entities? Corey – Yes. Trickster entities are a very big problem. There are many out there that . . . they will say I’m in contact with my guides and give me really good information. And many of these trickster beings will give you really good information, but the most important things they’ll twist and turn to keep you off the right path. The more you work up . . . working up the realms of self and reaching higher self, the easier it is going to be for you to detect these types of . . . this type of trickery. But there are a lot of different beings out there that have these abilities, so we definitely have to practice discernment and be open to the fact that our trusted guides sometimes may not have the best intent for us. You have to see over time how they’ve guided you, and if you’ve made progress in life. If you’ve stayed the same, or you’re not making progress, then it’s time to question what’s going on, in my opinion. Justin – Thank you, Corey. And, Cobra, how would you respond to this question of how to discern if the beings you’re invoking during meditations for helping you or can be trusted or not? Cobra – Again, if you have your connection with your own higher self, you’ll be able to perceive very clearly their energy field. You’ll feel if they work for the Light or if they are part of the Dark agenda. You will feel the energy field and you will respond accordingly. Lynn – What is the best way for Lightworkers to take advantage of the energies of the solar eclipse? Cobra, can I have you comment? Cobra – Basically, the energy of each eclipse is an energy of decision. And as we’re having our mass meditation, it’s a very good opportunity for us to have a unified mass decision that will create a new reality for us. Energies of the eclipse are very strong. And if people are not making their decisions, the energy of the eclipse tends to magnify the confusion, magnify all that suppressed emotional states coming out – all this mass hysteria. So the eclipse itself will be a very powerful moment with strong breakthroughs but also with a very strong, a very high amount of emotional and physical drama happening around the world and especially in the United States. So it is actually a very powerful moment with great potential, but which needs to be used wisely. Lynn – Thank you. Corey, can you comment? Corey – Definitely the best way to take advantage of the energies is this mass meditation. The rest of the world, they try to keep . . . the Cabal tries to keep them in a major state of confusion, so they are either not contributing to the co-creation of reality, or they also hijack that co-creation with the propaganda that we talked about earlier, like movies and, you know, different sci-fi storylines that have cataclysms for our future. Lynn – Thank you, Corey. Justin? Justin – Will our telescopes be able to see any ships of the Galactic Confederation or the Blue Spheres more easily during this total eclipse on the 21st? Corey? Corey – These craft are . . . A lot of these craft are either out of phase from the bandwidth that we can see, or they have technological means of camouflage. So these craft aren’t normally something that we’re going to be able to see through a telescope. Even if one is flying through the field of view of a telescope, or stationed, they would have to focus on that small, what would be . . . what would by perspective seem small craft. It’s very unlikely that you’re going to see craft of any type in a telescope. Justin – Thank you, Corey. And Cobra, would we be able to see any Galactic Federation or Resistance Movement craft through the eclipse? Cobra – As Corey has said, those ships are cloaked, and they will remain cloaked until the Event, simply because de-cloaking the ships would trigger retaliation mechanisms by the Cabal or by the Chimera group, and it is simply not something that would be sane to do at this point. We don’t want to have this planet destroyed. The main reason why the ships are not de-cloaking . . . There are many people asking our star brothers to show up, and they will not show up until it is safe for the surface population. So first the Cabal needs to be removed, and then they will show up. Justin – Thank you, Cobra. Corey did you want to interject something else? Corey – Yes, these groups . . . they honor cosmic law very closely. And to appear before what we are going through – the change – would have a direct effect on this world that we are co-creating – that we are supposed to be co-creating ourselves. So beings of this caliber are not going to show themselves in mass and have an effect on what we’re suppose to be doing ourselves. Lynn – This is a comment from a reader. Why don’t we use all the coming weekends leading up to the eclipse weekend as a campaign to obtain the necessary 144,000 meditators we keep talking about? Do either of you have any comments on this? Corey – I think we’ll surpass that number if we keep bringing groups together like we are right now. I think 100,000 people across the planet . . . I think that number is not a difficult thing to reach. Lynn – Cobra, any comments? Cobra – I would agree that we . . . it is not difficult to get that number if we unify. So I would not be so worried about having any special preparations in the weeks before. We will just need to prepare this carefully and then make it viral through the media. And I would simply invite everybody to join us, and that’s all. Lynn – Thank you. Justin? Justin – This comment: I feel like the meditation that is set up to occur on the 21st of August is the choice of the surface population as opposed to being a request from the Resistance Movement or the Light Forces to help speed things up. If this is true, would you both please post this information about it on your blog sites? So, in other words, the question is: Is this meditation . . . is this a request from each of your respective groups or is this something that the surface population is coming up with on their own? Corey? Corey – Well, this is definitely a request that’s being put out. The non-terrestrials that have been visiting us since the ’50s have been stating “demand for the release of suppressed technologies and grow spiritually or expand your consciousness”. So, yeah, I think that as we expand our consciousness and focus on expanding our consciousness and having a mass effect, we’re going to have . . . I think right now what is occurring on Earth is a pretty big show for a lot of these different non-terrestrial groups. This Event that we’re leading up to is something that they’re connected to in a very big way, and they’re very interested to see the choices we make. Justin – And Cobra, would you say that this event for the meditation is just the surface population creation or was this requested by the Resistance Movement or the Light Forces? Cobra – It is actually both, because the energies of the eclipse are so strong that both the Resistance and other groups in the surface population are feeling them and they are responding to, I would say, the Galactic Call. Both the surface groups and the non-surface groups are . . . they are responding to the Galactic Call. And this eclipse will have very strong connection with the Galactic Center. I will write this in more detail on my blog, when I release . . . when I make a call for the meditation on my blog, I will include information about the role and the connection of the Galactic Central Sun in this process. So the Galactic Center . . . The Galactic Central Sun is a living entity. It is a very strong high consciousness being and that being is making a call through the universe, and that call has reached the surface of the planet and has reached the groups in the Solar System that are working for the planetary liberation. And all of those are responding right now to that call. Justin – Thank you, Cobra. And as a follow up: Would either of you be willing to post the details about how this request happened on your respective websites to boost the credibility of this call? Corey, would you like to start? Corey – Yeah, I’ve already done that. Justin – Okay, thank you. And, Cobra, did you want to respond? Cobra – Basically, I have already explained how this happened. The Resistance Movement . . . before each meditation happens sends me intel and asks me to post that on the blog. And this is what I do. Actually, the reason why there is so many people reading my blog is simply because there is a very powerful group behind that. It’s not just me. It is 70 million people living below the surface of the planet that are standing behind the energy of the blog. Lynn – Will the Cabal also try to take advantage of this eclipse energy in some way? And if so, what will they try to achieve? Corey, can you answer? Corey – Yeah, unfortunately, the answer is ‘Yes’. During these times, these Cabal groups, Satanic groups, they get together. They do all of the dark things that we’ve seen on the Internet. We don’t really need to go into details. So, yes, it’s a very dark time for dark people. They are trying to use the same energies we are to manifest a different outcome. So absolutely, they’re going to be working just as hard as we are to try to manifest something that is not of the Light, for sure. But luckily, right now, the way energies are going, it looks like we’re going to have the upper hand if we can get the numbers together to meditate and overcome this buffer that the negative tries to put out, this dark buffer. Lynn – Thank you, Corey. Cobra, do you have something to add to this? Cobra – I would simply agree with Corey that the Dark Ones will be having their own rituals, the negative things they are doing. They will try to suppress the vibration with that on the day of the eclipse. But I would say that the will of the Galactic Center, the will of the Pleroma is stronger. It is not just us on the surface that’s doing the meditation. It is the whole universe that wills and wants the Dark to be gone and Light to be victorious forever, and the suffering to end on the planet. The whole universe wants this planet to be liberated and this is what will happen sooner or later – the sooner the better. Corey – Cobra’s absolutely correct that we’re not the only ones meditating on this. We’re getting a lot of assistance from the Light Forces. The Anshar stated that they, as a group, will be meditating with us. So we also have other unnamed groups out there that are watching us that are meditating with us to have a more positive outcome. And these positive forces outnumber the negative by far. Lynn – That’s great. Thank you so much. Justin? Justin – Will meditating in the path of the eclipse improve the effects of the meditation at all? Cobra? Cobra – Yes it will because it will be anchoring the energy of the meditation inside of the path of totality. So if you can do that, that is recommendable. Justin – Thank you, Cobra. And Corey? Corey – Yes, definitely being along the path of the eclipse is going to add energy, or you’re going to be able to utilize the energy better, as well as the different node sites or vortex points on the planet. Those are also good places to be able to access that energy. Justin – Okay, thank you, Corey. Lynn – Okay, Corey, will the weekend event at Mt. Shasta prior to the solar eclipse help set the stage for lightworkers to use the energies of the eclipse to liberate the planet? Corey – Well, we definitely hope that it’s a good example to others doing the meditation. I don’t think that we’re going to be leading the way by any stretch of the imagination. Every single person out there listening to this right now has just as much of an effect on what’s going on as anything that we are doing. So everyone is just as important no matter where they are on the planet. If they come together during this time period with us and focus their intent, there’s absolutely going to be a noticeable change that’s going to occur shortly thereafter, after that energy has been sent out to the universe and the universe hears and responds to that call. Lynn – I’m looking forward to this occurring. Cobra, do you have comments on this? Cobra – Basically, I would agree. Everybody that is contributing to the light in any way is co-creating that change. And the group that Corey is having in Mt. Shasta is one of the groups that can assist in that, yes. Justin – In relation to ‘Unity in theCcommunity’, how would you feel or what would be the best approach to working with somebody that you may not have total agreement with and finding some common ground? Cobra? Cobra – Basically, what we need to understand is that we all have common ground. Everybody that is of the Light and is working for the Light has common ground. And the common ground is we all want this world to be a better place. We all want to be happy. We all want other people to be happy. We all want Disclosure, Full Disclosure. We want First Contact. We want Liberation. We want the Event. This is what we all want. This is our common ground. And everything else, all those little things are not so important. And we can connect on that basic common ground. This is what we can do. But we need to be aware that there are forces, non-physical forces, and physical forces, that are trying to divide us. And they do so by pressuring with their technology with their energies on our weaknesses, suppressed emotions, suppressed . . . everything that has not been transmuted in us. And they have a very sophisticated network that includes advanced technology that can make other people appear to be what they are not. So if you are cooperating with somebody who seems to have strange energy, it might not be that they have a strange energy. It might be there is an energy field around them that was created with advanced scalar technology to create division between these two. And the Archons are using that technology especially when there are small groups or individuals that are very powerful working for the Light, and this is when they attack the most. And when there is the greatest potential for unity, that’s where they attack the most to create divisions, because they know, if we really manage to unite, it’s game over. The game is finished. It’s our victory. Justin – Thank you, Cobra. It’s a great answer. I’m going to ask a follow-up question after I redirect the question to Corey. Corey, how would you . . . would you offer any advice or techniques for people trying to find common ground with people they might not agree with on everything? Corey – Well, there’s a perfect example occurring right now. There’s information between Cobra and I that we disagree on. We probably disagree on a number of things. But what’s more important is that what we agree on. And what we agree on is that we want liberation, we want the truth, no matter what that is. If the truth comes out, we could find out that all of us have been wrong. You know, who knows. But we all want the truth. And if we all agree that that’s what we want, and to put aside all of our different ideologies, belief systems and perspectives, then we can have a massive effect. And that’s exactly why agents of division are introduced any time that anyone tries to bring unity to a powerful community like this. No one’s really tried to unify a community like this. Everyone’s kind of been off in their own little sectors and focusing on what they think reality is. But if we all come together and try to focus on creating a positive reality, and also getting real truth out not just for us but to the sheeple, the masses, then I think that’s something we can all agree on and become a powerful force behind. Justin – Great. Thank you, Corey. And as a follow-up question, I want to bring up the subject of a emotional manipulation. In my own studies, I’ve researched that about the vast majority of the population has right-brain imbalance, which means they use . . . rely on their emotions heavily when discerning and navigating through life. And given how easily these can be manipulated through electromagnetic food and other means, would you say that it is a good idea to develop mind mastery and ‘to know thyself’? Cobra? Cobra – Yes, of course. I would say the key here is to, first, develop your connection with your own higher self. Second, train your mind, educate your mind, because if you educate your mind, they will not be able to fool you because you will know, you will gather facts, you will connect facts. And third, heal your emotions. Healed emotions are very powerful tools for discernment, because healed emotions are a mirror of the soul. And until the emotions are healed, of course, the other forces can manipulate them. But actually your emotions are the key to your freedom. They’re the key to complete and full discernment. So I would say integrating your higher self, your mind and your emotions is the key to complete and full discernment, and then nobody is going to fool you ever again. Corey – Yeah, absolutely. Our emotion is normally what is the catalyst for causing change. That’s why the Cabal will try to manipulate us with different propaganda to not only put it into our consciousness – a thing such as a huge earthquake. They’ll put it into our consciousness through this type of media, but then they also try to trigger our emotions, which catalyze and give energy to whatever it’s being directed at. So we definitely need to learn how to master our emotions and ‘to know thyself’. That is the number one message of the Blue Avians – is that we need to not be on our knees, looking for somebody to come out of the sky to save us, that we need to focus our energy inward and to make the changes that are needed that will raise our vibration and give us this consciousness renaissance that I’ve described that Mica’s people went through. That was actually their Event. They had a consciousness renaissance that expanded the way that they looked at everything in the twinkling of an eye. So, yes, self-mastery is a very important thing. Knowing thyself and loving thyself, are extremely important. Justin – Excellent. Thank you, and I’ll just ask one last question about Unity in the Community, and I’ll turn it over to Lynn. Developing tolerance is something that is very helpful when you’re trying to reach out to somebody that you may not agree with, or that you may even have a grudge against. Do you have any advice on how to develop tolerance for people? Cobra? Cobra – Actually, you develop tolerance when you finally realize that we have all been subjected to big pressure by the Cabal – me, you, everybody. And when you know that, it is very easy to tolerate other people’s behavior because you understand they have been under great pressure. You have that deep understanding. It does mean that sometimes you still have to set boundaries. Sometimes you still have to say ‘no’, but you will not get in power struggles or emotional drama with people so much because you will understand that they have been under the same pressure as you have been. And this manifesting this way, the whole planet, the whole circus, has been under extreme pressure. And this is the reason why people are reacting the way they are reacting. This is the reason why people can sometimes act strangely or unexpectedly. And when you realize that then tolerance will come. Justin – Thank you, Cobra. And, Corey, would you say that developing tolerance is a good thing in trying to bridge the gap between people who might disagree, and if so, any advice on that? Corey – Yeah, I mean, developing tolerance is very important. If you’re developing self mastery and mastery of your emotions, then you need to learn how to become dispassionate about certain things. That doesn’t mean apathy, but such as when you’re in a position like Cobra or I are in, and you’re receiving trolling and attacking. You know, in the beginning, it’s hard not to respond. It’s hard not to give that energy back, because it’s pulling from you emotionally. So after a time, you develop an apathy towards it to where you tolerate it. So we need to . . . There’s a balance there. You need to develop . . . That’s going to occur naturally – that type of apathy – as you understand people reveal themselves through this type of activity, and you identify them, their energy. Then usually you can compartmentalize . . . begin to compartmentalize your emotional attachment to that actual topic. Justin – Thank you, Corey. And Lynn, did you want to jump in about any questions here? Lynn – Okay, I would just like to ask one final question on Unity in the Community and then get some closing comments from both of our gentlemen. Since the overreaching mission is ‘Unity in the Community’, I’d like to ask both of you what your respective thoughts are about a resourced-based economy, a moneyless economy, society based on production power of automation on one hand and Earth and her resources being the common property of all of her inhabitants on the other hand. Corey, could you start? Corey – Yes. You know, that is something that will be ushered in as the Cabal is ushered out. That is something that every society on every planet . . . that’s a process they go through. They eventually end up to a point to where they are coming together and living in balance with their planet. The ones that have not, have perished. So, yes, it’s essential that we move to obtain that balance. Lynn – Thank you, Corey. Do you have any closing comments that you would like to make at this time? Corey – Yeah, I think that it’s great that a lot of these meditative groups have decided that we are going to come together, put aside our different perspectives, and work for a common outcome, a common but positive co-created reality. I would encourage everyone out there that plans to participate to go out and speak to others that you know in the community that meditate, that are into spiritual, you know, being spiritual and meditating and prayer, and see if you can get more people to join. And you can get people in your area to join. I know that one of our people on the team that I have together, they’re working on like a meet-up-type group for people like us to find each other. So I think it’s very important for not only that we’re coming together right now for this meditation, but I think it’s important that we all, in each other’s community, start to finding each other, coming together and supporting each other, because the energies are going to get a little rough at times. Lynn – Very good. Great suggestion. Thank you. Cobra, would you like me to repeat the question for you? Cobra – It’s not necessary. Basically, I agree with what Corey said. We need to go beyond this Babylonian magic monetary system we have right now, and there are plans put into place by positive groups around the planet and beyond the planet that will change the financial system. At a certain point, we will reach harmony between technology and nature, and money itself will no longer be needed because we’ll be able to materialize whatever we need with replicators. And at that point, we will reach the final equilibrium. From there there are no limits. The sky’s the limit. Evolution will go beyond what we know right now. So this is my answer to the question. Lynn – Thank you for that contribution. Can you add any closing comments? Cobra – Yes, first I would like to say that the Resistance Movement is very happy that this interview happened, and that we are finally reaching a level when cooperation is possible. I would like to invite all other groups, and especially powerful influencers out there to put this meditation on their own blogs and their own websites for their own networks. People like David Wilcock, Benjamin Fulford and other people out there have a quite large following, and if they would also support this meditation, that could additionally benefit the planetary situation. And I hope they will understand it. Lynn – Thank you, Cobra. That was very worthwhile. I want to thank both of you for your participation today, and based on a number of questions that we’ve received, we could easily do a Part 2 and a Part 3. And I would like both of you to entertain that thought. Maybe we could do another after the eclipse, but we’ll get back to you on that later. Justin, would you like to say anything at this time? Justin – No, I’m just very happy that we’re all doing this and we are creating some common ground here, and I’m really looking to what we can coordinate with each other here in the future. Very excited. Lynn – Thanks to everyone for your contributions today. In closing I would like to thank the whole team that has made this interview possible. Cobra, his website 2012Portal.Blogspot.com, Corey Goode, and his website SphereBeingAlliance.com, Justin Deschamps, my co-host today, from StillnessInTheStorm.com and all our wonderful listeners. And remember always, we are all voices of the world. Our Volunteer Assembly is beginning now. This is a place to come and meet others in the Prepare For Change family. You can share thoughts and give your service in an area where you will feel you are contributing to something bigger than yourself. Programs of service are being designed by the Council and you are invited to join us. Several ongoing efforts are in progress. You can read about this at the link in our transcript. Humanities collective consciousness IMAGINING and MEDITATING laser white loving light enveloping the earth, better yet, the entire solar system or universe:) is very important!! Basically we are co-creators of this universe by OUR minds thoughts imagining!! This interview explains why the EVENT is taking so long. We all must do this meditation on Aug 21st! Although not much intel was given, I did see the depth of the power of meditation, and how we (enslaved) humans play an integral part in assisting our brothers and sisters in freeing us! Awesome interview! Yay !! Thanks to Corey and Justin and Lynn and Cobra and everybody. Let’s do this meditation together on August 21, 2017 at 11:11 Pacific Standard Time! Let’s combine all our forces and go for SEVERAL HUNDRED THOUSAND PEOPLE !! Victory of the Light. Thank you so much for putting this together! You all are loved! Corey did a fantastic job! Of course, Cobra did as well but I believe this is Corey at his very best! Wow! Thank you to all who made this possible, THANK YOU! Wow! Corey did a fantastic job! Of course, Cobra did as well but I believe this is Corey at his very best! Wow! Thank you to all who made this possible, THANK YOU! Lynn, I thank you for bringing this to my attention. I will ask all who follow my work all over the world to join together to make this Meditation the answer to our prayers. Together we can make it happen, the time is now. May I ask that you include the young man DAVE who the Cabal have locked up in Jail in California in order to prevent his work to release Humanity from captivity. He and I have a mission to complete for the release of Humanity, the Cabal are doing all in their power to prevent us, please help. Cobra and Corey, I am with you 100% on this.